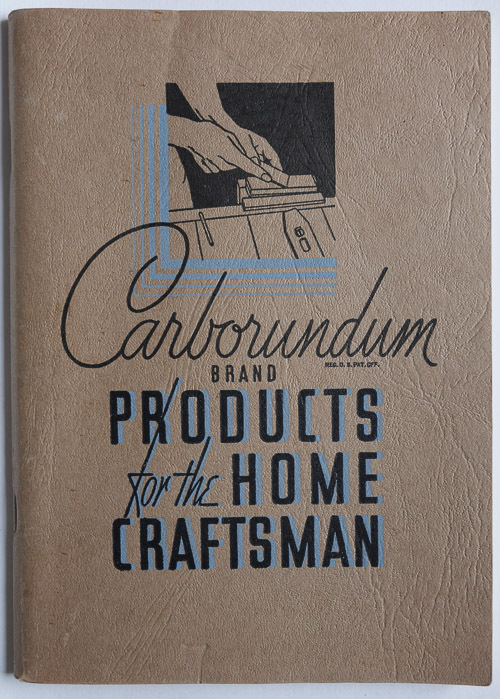 Emanuel E. Ericson and Walter E. Burton Carborundum Brand Products for the Home Craftsman. The Carborundum Company: Niagara Falls, NY, 1935. My Collection. In 1935, the Carborundum Company published a 93 page pamphlet of surprisingly useful tips and assorted product information. It also has a beautiful cover which typographically and color-wise captures the mid-1930’s aesthetic. Carborundum is Silicone Carbide (SiC), the material many (all?) synthetic oil stones are made of, and the coating on many abrasive papers. The pamphlet cost 20 cents in 1937, according to an advertisement in Popular Mechanics. The next time I purchase an old glazed over oil stone at a flea market, I’ll try the tip below to clean it, which involves heating it to drive out the old oil and swarth. 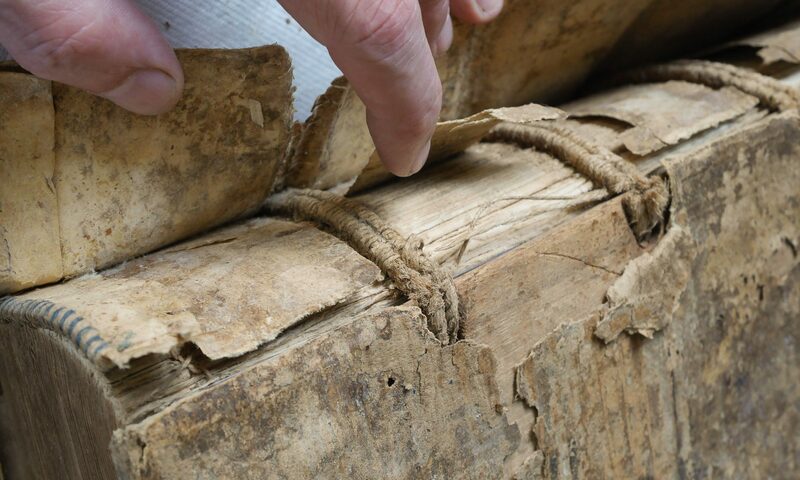 It also contains good advice concerning the habit keeping tools sharp. Get into the habit and become “cranky”! Emanuel E. Ericson and Walter E. Burton Carborundum Brand Products for the Home Craftsman. The Carborundum Company: Niagara Falls, NY, 1935. Timely post! I have an old Arkansas stone here that’s smooth as glass. I’d about given up on it! In our workshop, we simply soak the carborundum stone in kerosene for a few months in a container with a lid on top to avoid evaporation.. Petrol is probably better, if you can keep it away from your working environment. There is also the red-ish synthetic stone made of Aluminum Oxide called Corundum. Boiling the stone, rather than heating it directly, will prevent the stone from overheating and will float away the exuded oil. My first translucent white Arkansas stone was bought at a flea market, and was oozing filthy oil in the hot sun. (A translucent Arkansas should be used dry and cleaned afterwards with solvent; it is so fine that it will not cut at all if oiled.) Following the advice of an article, I put it in an old pan full of water, resting on a rag so that it would be away from the overheated bottom of the pan, and boiled it. It came out free of oil and completely usable, one of the best stones I have. It is now veined with tiny cracks, and I worry that they may have been caused by the boiling, but they seem to be stable and don’t affect the stone’s use. Previous PostPrevious Tools: Friend or Foe? Next PostNext Neolithic Knife Sharpening Stone?